doing a unit on families. 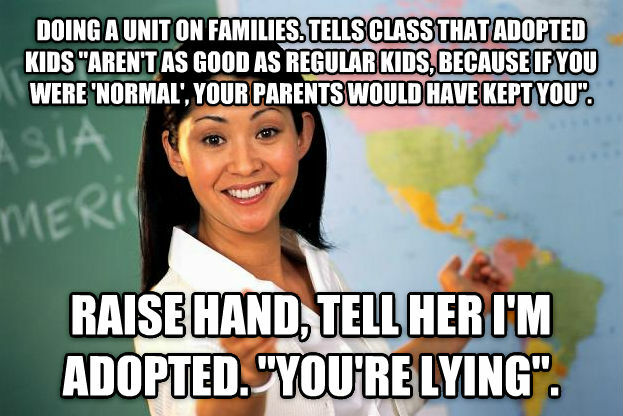 tells class that adopted kids "aren't as good as regular kids, because if you were 'normal', your parents would have kept you". raise hand, tell her i'm adopted. "you're lying".